In a strange convergence, it turns out that the disgraced financier Bernie Madoff and the young Somali sea bandit Abdul Wali Muse have both been held in the same New York detention center, prompting the question who is the bigger pirate? Indeed, where once they were celebrated as wizards, the financial whizzkids of Wall Street, or of corrupt behemoths such as Enron, are increasingly being condemned as pirates. “Make Enron Pirates Answer” demanded the LA Times a few years ago, and now we find that Enron has “gone global” as “hedge fund pirates” stalk the world economy. The comparison with the dangerous seas off the Horn of Africa is made explicit again as we’re told that “Like Somali Pirates, Wall Street Holds U.S. to Ransom”. The 41-year-old hedge fund founder Tom Hudson [. . .] struck a Blackbeard pose right out in the open—Blackbeard, the pirate who took what he wanted and was accountable to no one. When Hudson launched his company in Norwalk in 2002, he named it Pirate Capital and called its hedge fund the Jolly Roger. Outside the door to his office he installed a life-size wooden figure of a storybook pirate, in full color, wearing all the pirate’s rig: the patch over one eye, the golden hoop earring through one earlobe, the tricornered hat, Captain Hook’s hook instead of a hand on one arm, the pantaloons, the peg leg, and the cutlass. He handed out baseball caps and T-shirts emblazoned SURRENDER YOUR BOOTY!, which was funny but no joke. Of course, those who live by the sword also die by the sword: even before the current downturn, Pirate Capital faced mutiny as it tried to make its own staff walk the plank. But you could never suggest that the firm ever hid its piratical intentions. Rather, it gloried in them. And now comes The Invisible Hook by Peter Leeson, who is apparently “Professor for the Study of Capitalism” at George Mason University. His website too is adorned with pirate imagery, and no wonder: his book is a whole-hearted celebration of piracy as a model for free-market economic practice. Mind you, Leeson also warns us that we should be careful not to learn too much from pirate self-organization: just because they arguably instituted a form of “workers’ democracy” doesn’t mean that contemporary corporations should feel constrained to follow suit; after all, workers would tend to support “risky decision making,” while external financiers rightly reject such risks as they have “to bear the full costs of failure” (183). Oh, just imagine what a pickle we’d be in now if risk-loving workers held sway over the sensible inclinations of finance capitalists! Ultimately, this is a superficial and even silly book. It’s an exercise in market-choice dogma rather than a real investigation into the economics of piracy. 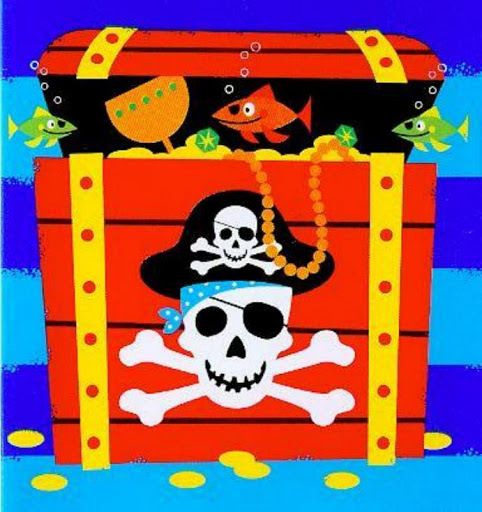 Though it claims to overturn the ways in which we think about sea banditry, the version of piracy that it promotes is on the whole as abstract and idealized as the Disney caricatures that apparently first inspired the author’s interest. It’s just that these are idealized rational economic actors, rather than barbarous if comic exotic rogues. Either way, we get caricature. Pirates are merely the ruse for a not-so-very hidden agenda: here, a sort of duffer’s guide to economic dogma. In some ways, the failures of Leeson’s book are predictable. Piracy has long served as a screen on to which all sorts of prejudices or idées fixes can be projected. As Leeson himself notes almost in passing, pirates have been cast as proto-communists as often as they have been presented as neoliberals avant la lettre; they have claimed for gay rights and queer theory as much as they have been condemned for their barbarous machismo; and they have been cast as forming ideal democratic societies as frequently as they have been represented as savages who care for neither morality nor legality. But rather than repeating his own simplistic morality tale of greed is good, Leeson might have explored the fundamental ambivalence that enables piracy to serve as a Rorscharh Test for so many distinct political and social positions. If, for instance, the joint stock company incarnates what Marx termed the “communism of capital,” perhaps these “sea-going stock compan[ies]” (41) have something to tell us about the capitalism of communism, or about a certain indecideability between a line of flight that seeks to escape all constituted authority and a constituent power that creates ever-new constitutions. Leeson is really no more interested in politics as such than he is in history; the whole point of the book is show the purported superiority of classical economics to explain any aspect of human behavior. But he has to tangle with politics from time to time. Leeson’s manifest libertarian impulses, that lead him to disparage the notion of state regulation at almost every turn, also force him to suggest a fine distinction between state government and private governance. If greed is good, then government is generally bad; but governance is praised as a form of privatized, self-regulating government. And this idealized conception of governance comes to sound remarkably like hegemony: it is voluntary, non-coercive, and contractual. For Leeson, pirate ships are not only exemplary instances of economic rationality; they are also (almost) perfectly functional hegemonies. And perhaps it is this, rather than the economic as such, that explains piracy’s strange allure: it offers a counterpart to the pseudo-hegemony of the nation state, a romanticized conjunction of liberty and self-organization. Juliana details the life of Lima’s streetkids with warmth and affection, and is in some ways a surprisingly optimistic movie. Made by the pioneering Grupo Chaski, it is apparently filmed mostly with non-professional actors, who in a couple of scenes speak directly to the camera as if perhaps in their own voices: first to tell stories of the past, of abuses and lost parents; but later to recount their dreams, of their hopes for a future that combines the magic and the mundane. Indeed, towards late on in the film one of the characters declares that “In the end, life is made of the same cloth with which dreams are made.” And the movie’s finale is gloriously utopian, imagining on the one hand a self-reliant community of children living on a derelict ship down by the seashore, and on the other hand a city bus making its way through a darkened city with all its lights on and full of dancing and singing. The conjunction of boat and bus is rather appropriate, because these kids are something like urban pirates. They board the decrepit but often gaily painted vehicles that serve as Lima’s urban transit system, and sing songs for the passengers in return for whatever spare change that they can beg. Though they also indulge in some petty thievery, over the course of the film they begin to take the music itself to heart, encouraged largely by the newest member of the troupe, the exuberant Julián. Julián is one and the same as the movie’s titular Juliana. We first meet this twelve-year old tomboy in her former occupation, cleaning graves at the cemetery. She uses spit to moisten the dirty old rag with which she wipes down the tombs, but assures their inhabitants that she means no disrespect. We also see her home life with (almost inevitably) a drunken and authoritarian stepfather who prevents Juliana from enjoying her few pleasures by stealing her radio or interrupting her soap operas by insisting that she go to the store to bring him more beer. Eventually she can stand it no more, so betrays the old man to an insistent creditor, cuts her hair so she can pass as a boy, turning from Juliana to Julián, and runs off to follow her brother who already works on the buses. The streetkids’ activities are coordinated by a Faginesque figure by the name of Don Pedro, who teaches his motley crew the tricks of the trade and tells them tall stories, demands their money but also feeds and shelters them, falls into rages but also has a tenderer side that at times clearly enjoys the company of his young live-wire charges. The kids themselves are a cross-section of Peru, who come from the jungle and the Andes as well as the coast. They have to band together for survival, but regional and ethnic distrust doesn’t necessarily disappear: when Don Pedro tries to recompose the teams of two that go out onto the streets, he receives outraged resistance from kids who don’t want to pair up across ethnic lines. But the greatest marker of difference for the group is gender. And when Julián is revealed as Juliana, the gang comes to its crisis point. The perhaps predictable result, however, is that the majority of kids choose to side with Juliana and abandon Don Pedro and his stool pigeon sidekick. Choosing to rely only on themselves, they set off in search of collective dreams in this urban ocean. The ending then is too good to be true: a child’s fantasy realized on celluloid with echoes of other self-reliant groups from the famous five to Swallows and Amazons. But the bulk of what has preceded has successfully treaded the fine line between romanticism and grit, portraying tensions as well as enthusiasms. There’s a particularly memorably scene in which the kids live out their fantasies, if only temporarily, in a trip to a local shopping center. But it’s in that same scene that the gang starts to fall apart with a misconceived robbery that ends with the tragi-comic spectacle of a panicked child slowly descending in a glass-walled elevator, knowing the police await him at the bottom of his ride. There may be no deserted ships down by the Lima shore that can be refurbished as a pirate base. And it may be that pirates are almost always fleeing trauma at home only to be flung headlong towards an unfortunate and early end. But Juliana captures some of the inventiveness and joy that also attends these urban nomads. YouTube Link: the final confrontation with Don Pedro. The Wednesday quotation, part VIII: Foucault on pirate heterotopias. This is a guest post because the quotation was suggested by my brother, Tim. The “Pirate Studies” panel the other day, organized by Craig of theoria, was fun and generated some useful discussion. It was also good to hang out afterwards with Craig, Weblog denizen Doug Johnson, and others. The complexity and confusion regarding piracy’s political economy leads to, is amplified in, and exacerbates a similar set of confusions regarding piracy’s relation to the state. Moreover, an added complication here concerns first, the range of piratical activities and the nomenclature used to describe them, and second the historical vicissitudes of piracy from at least the sixteenth to the nineteenth centuries, in other words precisely during the period of the European state’s consolidation, and imperial expansion. Take the issue of nomenclature. Though sometimes all non-state maritime violence is considered under the label of piracy, the series of differing terms employed at other times indicates multiple attempts (often finally frustrated) to distinguish between different forms of violence, or more strictly its different degrees of legitimacy. Pirate, buccaneer, privateer, private man-of-war, corsair, filibuster, freebooter, coastal raider. . . all these terms indicate subtle differentiations, of which by far the most important is that between privateer and pirate. Strictly speaking, a privateer is a private merchantman who has been provided with a “letter of marque” from a national state, permitting him to engage with, board, and take goods from merchantmen from other nations, within boundaries more or less precisely delineated by national and international law. As such, privateers (and the closely related private men-of war) were extensions of the state’s juridical and military apparatus in those areas of the world beyond its formal control, or its ability for direct regulation. Privateers and private men-of-war were essentially mercenaries, enabling state expansion without the state having to invest in the expense of fixed capital, and the set-up costs of recruitment, construction, outfitting, and so on. Privateers were particularly a feature of the sixteenth-century Caribbean, when private seamen such as Drake and Hawkins, though viewed as common criminals by the Spanish, in fact did the work of English state foreign policy more effectively and efficiently than the English navy itself was capable of doing. No wonder Elizabeth I would term Drake “my pirate.” Given, however, this close relation between state and private forces, there was significant attempts at regulation and normalization of the relationship. So, for instance, normally, as David Starkey notes, the “authority [of letters of marque] was valid only in wartime and against enemy property” (69). Yet, as Starkey goes on to explain, the boundaries of legality were often disputed, and evidence as to the propriety of specific acts hard to ascertain when they had taken place on the high seas many thousands of miles from any court of law. The British High Court of the Admiralty was charged with determining justice in such cases, with the “issue of letters of marque and privateer commissions and the condemnation of prizes” (73). But the process could be cumbersome, especially as in the case of dispute “either party could appeal against the decision to a superior court, the Court of Prize Appeals, which could delay the final pronouncement for months or even years” (76). The system was therefore prone to abuses, to privateers going beyond their bounds and misreporting or not reporting the extent or circumstances of their engagements. Increasingly, the regulation of privateering had to take place closer to the spheres in which it actually took place, and so to be monitored more directly by the Royal Navy. As such, however, and with the (in part, consequent) growth in the power and extent of the Navy, the raison d’être for privateering began to wane. After all, if the Navy could now take on the role of monitoring privateering on the high seas, it would be even more efficient for it to perform directly the self-same functions for which privateering was invented. In other words, once the state no longer needed private supplements to enable its foreign adventures, it could dispense with the requirement for privateers, and even take a moral high ground within the international juridical order, by seeking to abolish privateering altogether. And this was precisely what happened over the course of the seventeenth century, until by the beginning of the eighteenth what was supposedly piracy’s “golden age” was in fact the period of its precipitate decline, at least in the Atlantic, as it was the point at which European state collectively turned against the forces that they themselves had historically authorized and nurtured, turning now to outlaw private force, and so to secure their rather tardy achievement of a monopoly over the legitimate use of force, beyond as well as within their territorial borders. Hence, the relation between piracy and the state is complex and historically variable. And here, to conclude, we can venture some theoretical observations regarding the Deleuzoguattarian conception of nomadism. At times, to be sure, pirates do and have functioned as a kind of absolute outside, a war machine opposed to and in contradistinction to a state which only arises (if perhaps not “all at once”) later. At other times, however, pirates were if anything the advance guard of the state, heralds of its imperial expansion. In a further irony, piracy equally called forth the state as a mode of regulation. This is perhaps most clearly obvious in the case of Spain and its construction of the first modern state bureaucracy, centered in Seville’s “Casa de Contratación,” in direct response to the threat of a continuity of illegal activities, from private commerce to fraud to mutiny to outright piracy. Finally, there is the case of piracy sponsored and originated by the state, instances of groups organized and financed under its care, but which outgrew it, to become semi-autonomous, dangerously out of control. The American filibusters such as William Walker and his Nicaraguan expeditionaries in the nineteenth century, are perhaps a particularly good example of this. In other words, the question of nomadism may not simply be that of the state taking over the war machine (as Deleuze and Guattari suggest) but also the ways in which the state itself becomes immanent, at the frayed edges of its territorial power, at the liminal margins of Empire: the ways in which, in short, the state itself generates its own nomads. Like anyone confronted with the harshness of robbery on the high seas, you can be pessimistic at times. 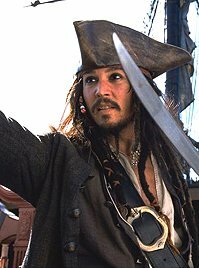 Even through many pirates have a reputation for not being the brightest souls on earth, you defy the sterotypes. You’ve got taste and education. Arr! What would the architecture of the Caribbean be without the pirates from whom the Spanish Empire constantly sought defence and protection? 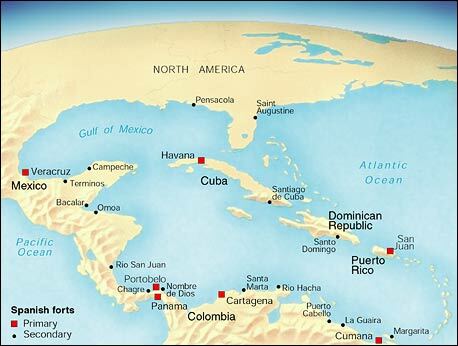 The walled city of San Juan, and the El Morro fort that guards its harbour, are particularly impressive. The first defences were constructed in the sixteenth century, and helped repel Drake’s 1595 attack. Three years later, another English privateer, the Earl of Cumberland, took the fort by attacking overland rather than from the sea, but this expedition was defeated eventually as his men succumbed to dysentery. The Spaniards then rebuilt El Morro stronger than ever, and saw off a Dutch attack in 1625. 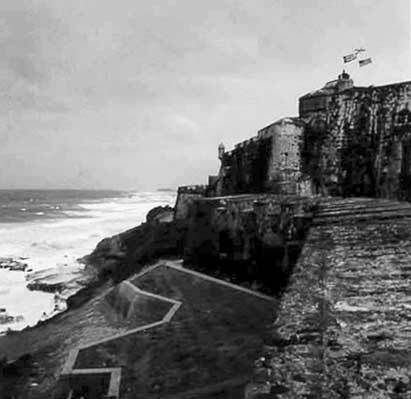 Further building continued for another 150 years, producing massive walls and further forts all around the island on which Old San Juan sits. El Morro was subject to US bombardment during the war of 1898, but the Americans subsequently themselves rebuilt parts of the site in World War II pillbox fashion, turning it into a lookout now against the possibility of German U-Boats advancing across the Atlantic. But although the prodigious engineering that went into this edifice is ascribed to the Irish-born Colonel Thomas O’Daly, surely this architecture of counter-insurgency should also be credited at least in part to the nomadic pirates against whom it was arrayed? this study demonstrates the development of norms of nonstate violence that were quite robust in the nineteenth century, but the book has not dealt with certain practices that appear to challenge those norms. Were the Nicaraguan contras mercenaries for the United States? Did the U.S. military sell itself as a mercenary army to Kuwait? What about major instances of nonstate violence such as terrorists, drug smugglers, mafiosi, and pirates in the South China Sea? Do these contemporary practices mean the nineteenth-century norms of sovereignty are obsolete? The reference is to Giddens’s A Contemporary Critique of Historical Materialism , volume 2, The Nation-State and Violence . I’m not sure that there isn’t some confusion here between violence and power. For Negri’s point about the multitude, as I understand it, is that its role in the production of power is equivalent to the proletariat’s in the production of wealth. Indeed, that there’s an almost exact symmetry between the process by which power is produced and the process by which wealth is produced. In Thomson’s book, power refers to the ability to control the allocation, means, and use of violence. But violence is also, of course, a form of power. Read from the point of view of the multitude, the history that Thomson recounts could precisely (I think) be recast in terms of a contest between different forms of power–heteronomy and sovereignty, if you like, in Thomson’s own terms–in which the multitude plays a very similar role to that played by the proletariat in traditional accounts of political economy. Which is not to say that we are thereby returned to dialectics.